Scout Leader Position-Specific Training BEGINS MARCH 5, FLYER NOW AVAILABLE ONLINE. This training course is designed to meet the needs of Scoutmasters; Assistant Scoutmasters interested Troop Committee Members, Parents, new adults from Webelos Dens, Commissioners. Leaders will all benefit from this informative and hands-on program. The training session will give you the practical skills you need to lead Scouts in the out-of-doors, and help you master basic camp skills required for Tenderfoot to First Class. Working as patrols, this hands-on course provides adult leaders the practical outdoor skills they need to lead Scouts in the out-of-doors. Upon completion, leaders should feel comfortable teaching Scouts the basic skills required to obtain the First Class rank. Along with Scoutmaster Specifics this course is required of all direct contact leaders registered in Boy Scout Troops and Varsity Scout Teams, in order to be considered “trained”. If you want a ceremony done right, call the Boy Scouts. For more than a century, Boy Scout Honor Guards have added reverence, dignity and patriotism to events like baseball games, camporees, parades, inaugurations, funerals and more. 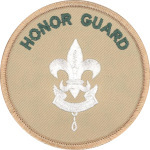 And now, for the first time, there’s an official Honor Guard patch to recognize Scouts who take on this important role. Cub Scouts, Boy Scouts, Explorers and Venturers attending the event will learn practical public speaking techniques, tips on speech-writing, proper etiquette, and how to perform in the BSA Honor Guard during fundraising events throughout the year. In addition, participants must bring a prepared speech about Scouting and read aloud to the group, receiving constructive and posi- tive feedback from seminar leaders. 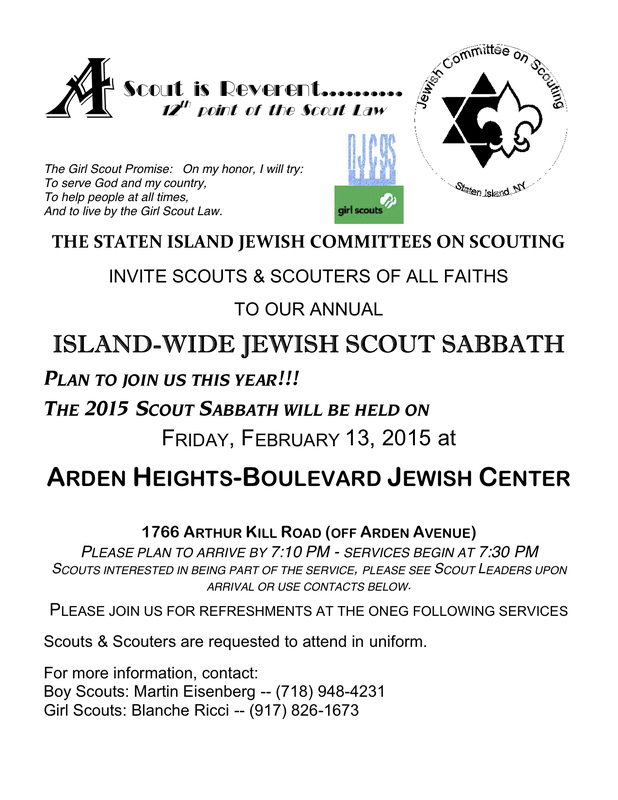 The Staten Island Jewish Committees on scouting invite Scouts & Scouters of all faiths to their annual Island-Wide Jewish Sabbath. Donald Anthony Morisi, 73, of Charleston, a retired graphic designer and an Air Force veteran, died Wednesday in the VA Medical Center, Brooklyn. He was born and raised in Brooklyn, and graduated from Aviation High School in Queens. He also lived in Mariners Harbor before settling in Charleston. Mr. Morisi served in the U.S. Air Force from 1961 to 1967. He attained the rank of sergeant. He earned a bachelor’s degree from Pratt Institute, Brooklyn. A graphic designer, he worked for 14 years at Michelin Automotive Tires. He later worked for the New York City Housing Authority, retiring in 2006. He volunteered as a Boy Scout leader. 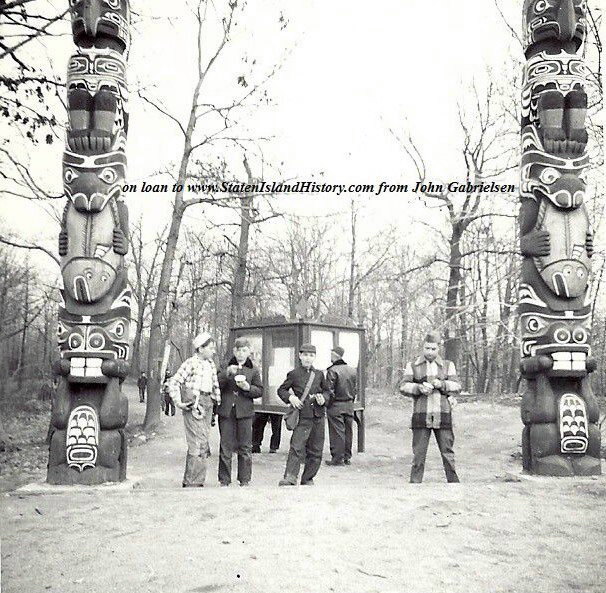 He enjoyed the arts, graphic design, aviation, classic cars and camping. His son Scott, died in 1999. He is survived by his wife of 52 years, Elizabeth; his son, Terrence, and his daughter, Julie Elizabeth Cena. Scouts will participate in themed activities and receive collectors patch. 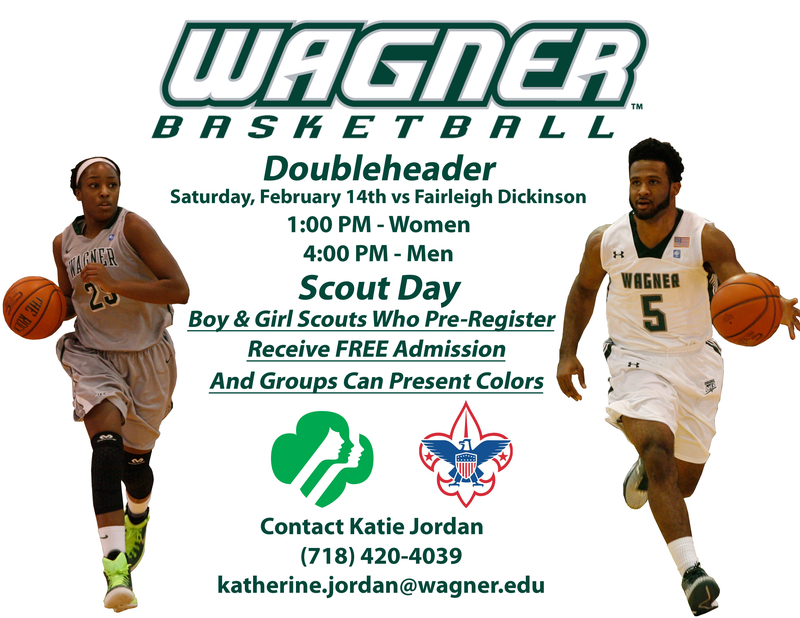 $12 per Scout, $8 parents & Guardians. All need to be pre-registered. Wear your scout uniform –Proudly. Click here for flyer. This event has been postponed until further notice. Details will follow once available.